Drupal is a open source content management system based on PHP and distributed under the GNU General Public License. Drupal is a scalable and open platform for web content management, it’s community provides more than 31,000 modules to extend the core functions and Drupal is used by at least 2.1% of all website on the internet. At the end of 2015, the Drupal project has released the new major version Drupal 8 that I will cover in this tutorial. 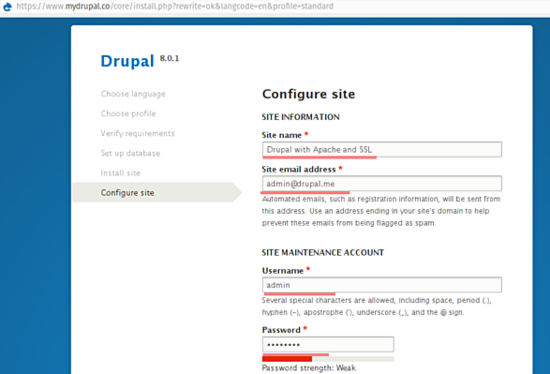 In this tutorial, I will show you how to install Drupal 8 on Ubuntu 15.10 with Apache as web server, MySQL as database backend and how to secure the website with SSL. 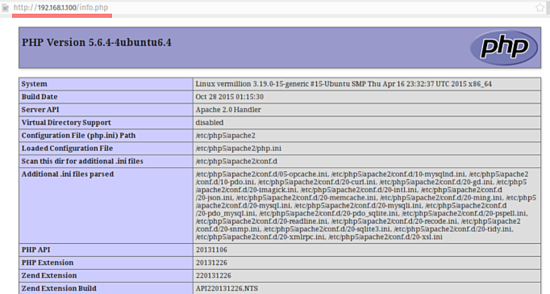 I will install apache and PHP (and some PHP modules that are required by Drupal) with apt, the Ubuntu package installer. Then we will enable the apache modules mod_rewrite and mod_ssl. So mod-rewrite and mod-ssl are loaded. The result should be similar to this screenshot. As a publicly accessible info.php file is a security risk. 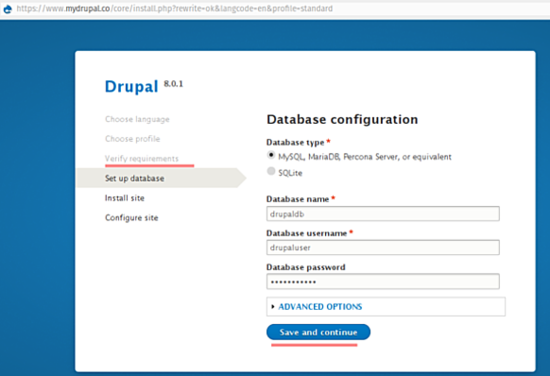 In this step, we will install MySQL 5.6 and create a new database for Drupal. We will create a database with the name ‘drupaldb‘, a new user ‘drupaluser‘ with the password ‘drupaluser@‘, and grant the user access to the database. The installation process will prompt for the MySQL password, choose a secure password. Now log into the MySQL database with the user “root” and the password that you have chosen above, then create the database and user for drupal. The Database configuration is finished. We will use SSL to enable secure access to Drupal. Create a new directory for ssl in the apache configuration directory, then create an SSL certificate with the OpenSSL command and change the permission of the certificate file. The new SSL certificate file is created. In this step, we will create a directory for Drupal inside the /var/www directory and add a new virtual host configuration file for Drupal. Replace the domain name www.mydrupal.co with the domain name of your Drupal website. If you see “Syntax ok“, then the apache configuration is correct. The virtual host is created and configured. 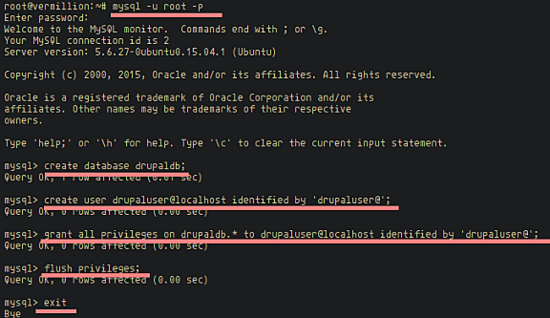 Now go to the Drupal directory and download the new Drupal 8 version with the ‘drush command’. 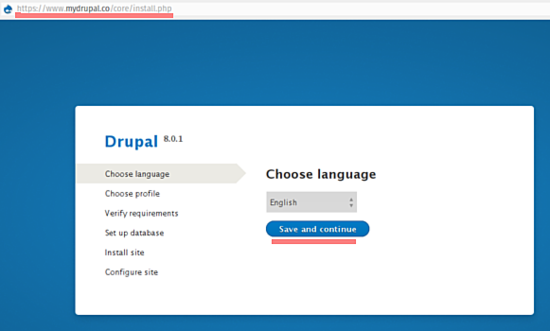 The shell part of the Drupal installation is finished, visit the drupal domain of your website “www.mydrupal.co” and you will be switch to https connection automatically. Choose your language, I will use ‘English‘ here. Click on “Save and continue” and wait until the installation process finished. 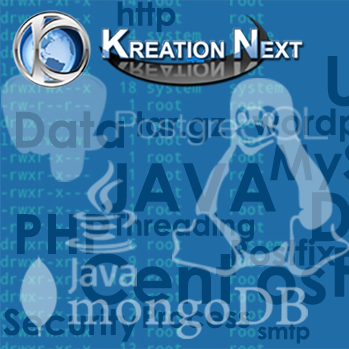 ow Configure the site, admin account, email, site name etc. Drupal is installed and configured. Drupal is a content management system based on PHP, it is used by at least 2.1% of all websites on the internet. Until now, Drupal has released version 8 and provides many add-on modules that make Drupal is really useful. We can install Drupal on any server that supports MySQL or MariaDB as database, a web server like Apache or Nginx and the PHP programming language. 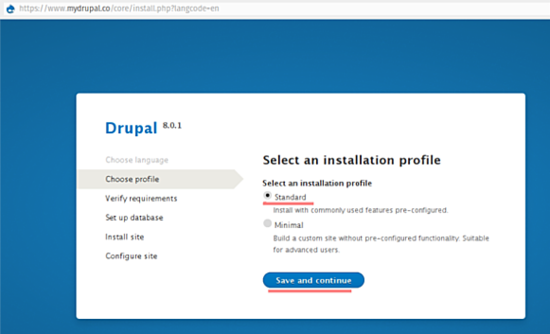 Drupal is easy to install and configure.